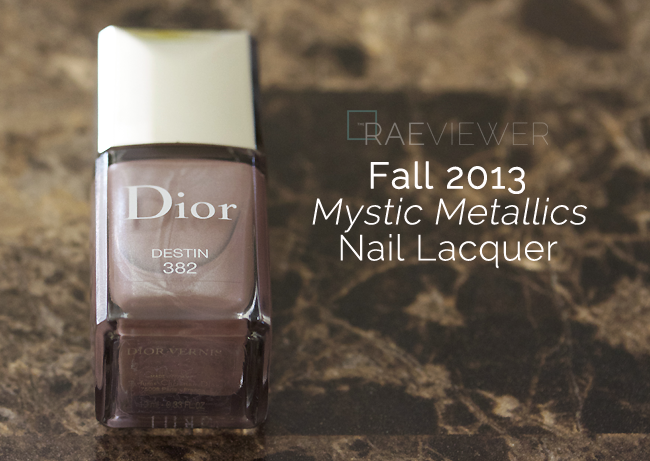 Three brand new shades of Vernis were launched with Dior's latest Mystic Metallics Collection, but Destin was the only one to come home with me. I was not as stunned as I had hoped to be with the trio in store. I contemplated Galaxie, the shimmery red-plum, but I knew I would not reach for it often. I am very glad I followed my instincts and still brought home my initial pick. I have worn Destin for the last three days, and the longer I wear it, the more I like it. 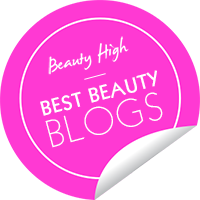 See more of my thoughts and all swatches after the jump! 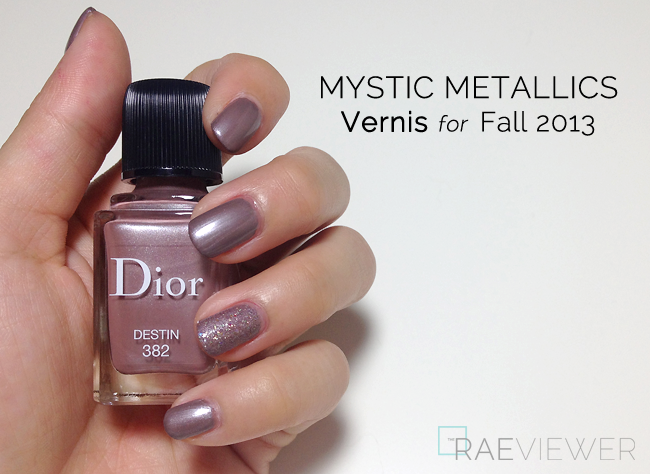 In the glass bottle, Destin looks like a metallic mauve with a silvery grey lean. It does appear more pink or lilac in any kind of artificial lighting. 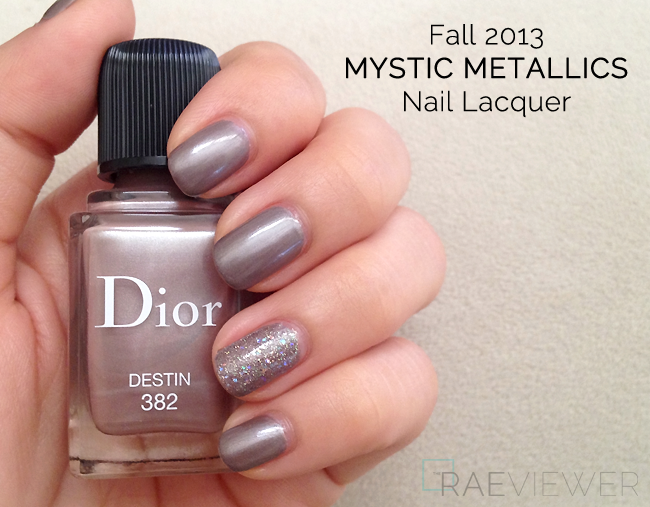 On my nails in natural light, however, Destin is a greyed taupe with a hint of lilac. It appears more mousy brown against my yellow-toned skin than on anyone else I have seen wear it (see below). I keep trying to convince myself I own -- or have owned -- a color like this, but nothing in my current stash is quite like Destin. 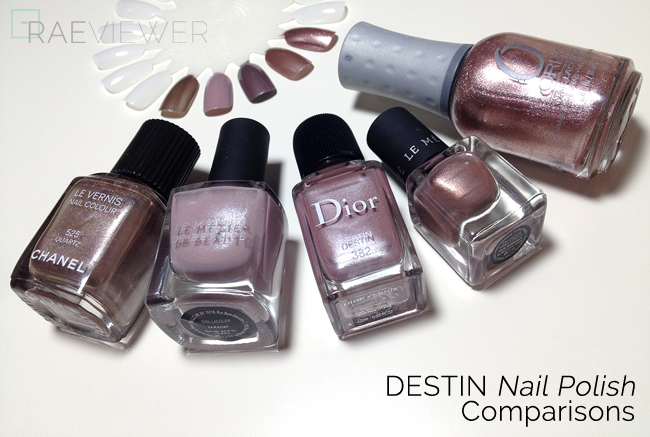 I applied two incredibly smooth coats of Destin in all of these swatch photos. 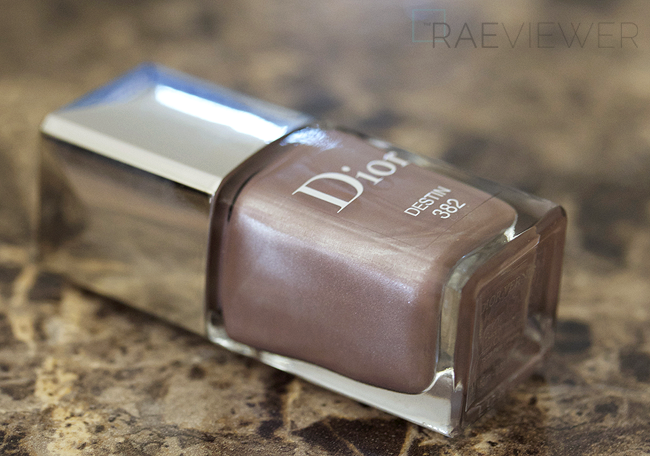 I might always prefer Chanel, but I will never deny that Dior has significantly improved their nail polish formula in the last year. Destin dried down impressively.. fastest manicure in recent memory! The frost finish of Destin will accentuate streaking, but a thick and glossy top coat like Butter London's Hardware (my favorite) or Seche Vite (worn here) will make them less noticeable. Do note these top coats will also tone down the look of the shimmers in Destin, making the metallic finish look more like a sheen. On the wheel swatches above, two coats of each color was applied (no base or top coats). 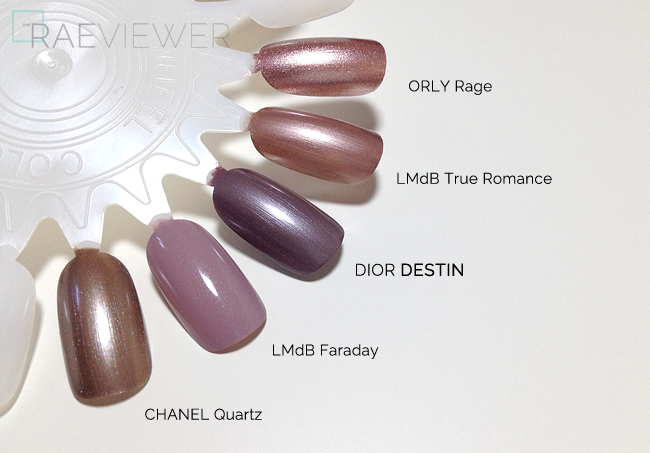 Chanel's Quartz has too much warmth from the gold, while Le Metier de Beaute's Faraday is strongly lilac. 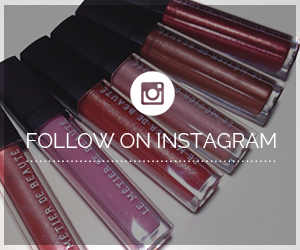 Le Metier de Beaute's True Romance actually comes the closest, but the rose gold note is too obvious. Orly's Rage is a very shimmery rose gold, not at all mauve or grey. 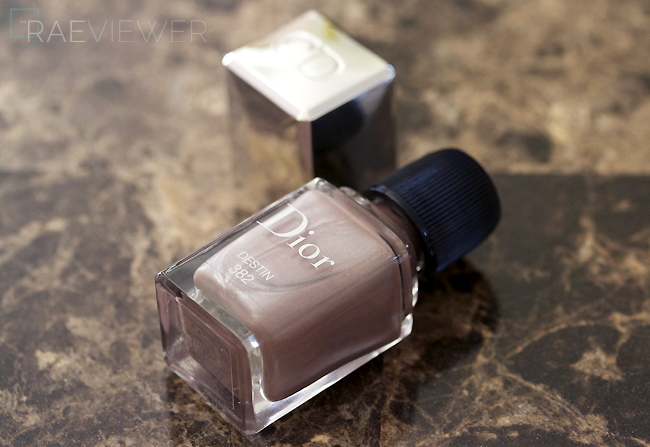 FYI: Dior's nail polish brushes are flat and tapered, which works well for my narrow nail beds. My bottle of Destin, however, has the most jagged, thickly layered bristles on any Dior polish brush I have ever encountered. Either Dior quality control is lacking or I purchased a defective bottle. I jazzed up this manicure with an accent of glitter on the ring fingers using my beloved Butter London Tart As a Heart. 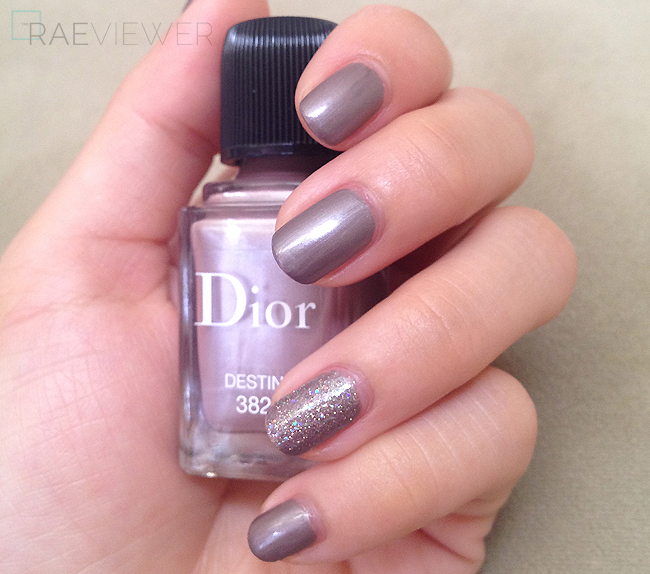 Without the glitter accents, Dior's Destin is office appropriate. The metallic sheen saves it from being dismissed as a standard stale neutral, though, so go take a look and see if it is worth the splurge. I purchased mine for $24 USD at Nordstrom. Bottom Line: Dior Destin's ultra creamy and easy-to-apply formula is a knockout, so pick up the color if you need to add a unique conservative shade to your vanity! 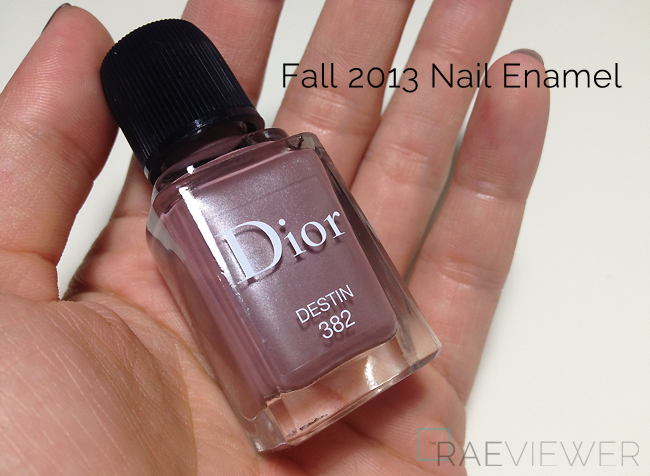 One of my latest Dior nail polish (one from Summer Mix) also had a defective brush. Before I have never come across one, it might really be a quality issue. In terms of Dior vs. Chanel, I always liked Dior's formula more, faster dry time, more self leveling and more opaque since last year. I think last year was the time when Chanel improved their formula. Now all of their polishes from their recent collections are more opaque, almost one coaters. Thanks for yet another great review but I thought that the fall nail polishes came with a magnet to get a special effect?